Upon registration, new students do an oral and written assessment test in order to be placed in an ESL class which corresponds to their level of English. Each session is in two parts which last for 8 weeks in total. Students who obtain a letter grade of C (73%) or higher will be able to move on to the next level. After passing Intermediate 3, students are entitled to apply for the diploma courses. All ESL classes begin at 9 am and finish at 2:45 pm. There are two 10-minute breaks and a 45-minute lunch. ESL classes are divided into 4 periods. * Advanced classes focus on writing and speaking in an academic framework. There is a test given once a month and several quizzes throughout the course. Note that on test days, students are released earlier than the regular schedule. All of our TESOL certified teachers have university degrees and bring their knowledge and experience into each class. The combination of a teacher's ideas with SGIC's curriculum ensures a rich learning environment. 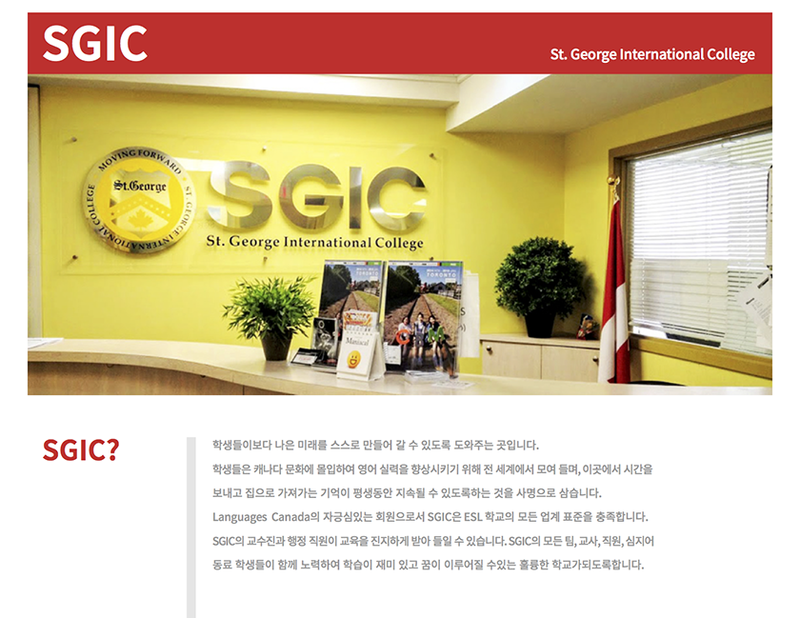 Furthermore, in order to address concerns from some of the students that they would like more opportunities to talk with the teacher during the speaking and conversation lessons in the afternoon, SGIC has hired support teachers for our intermediate ESL classes. There are two instructors in the class to facilitate discussions and give the students feedback ~ doubling the attention each student receives.